There is a new ceasefire in Syria, brokered between the US and Russia, respectively the godfathers of the opposition, and regime. It is yet another diplomatic attempt to end the carnage on the ground and may lead to unprecedented military co-operation between the two superpowers against ISIL if the ceasefire holds for seven consecutive days. And this is simply because every other diplomatic initiative has led nowhere. Five and a half wasted years of talk floundering every time on the eventual fate of Bashar al-Assad, the President who refuses to go. At the start of 2012, Kofi Annan, as a UN envoy, tried to get a ceasefire going. It fell apart on April 12 after only a few hours. The following year a chemical attack in a Damascus suburb killed 1,400 people and is blamed on the regime. For the West this is flagrant breaching of its “red lines” , but Assad and his Russian allies blame the rebels. 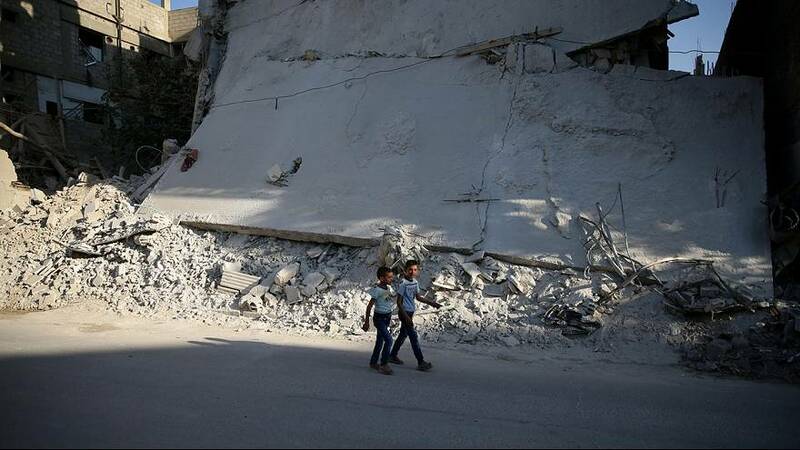 America is on the verge of authorising air strikes but after three days of talks in Geneva this is only just avoided by a deal between the US and Russia that sees Syria dismantle its chemical warfare capability. In January 2014 the two superpowers finally manage to get the Syrian government and opposition into negotiations, but within two weeks, the 31st of January, everyone has gone home and are at daggers drawn again. UN mediator Lakhdar Brahimi was left to announce the talks’ failure to the world. “I am very very sorry and I apologise to the Syrian people that their hopes, which were very, very high that something will happen here…” he said with drooped head. Brahimi, who had replaced Kofi Annan, took the failure hard, and resigned on May 13. Staffan de Mistura takes over for the UN. For the first time the UN Security Council manages to vote a Syrian resolution in December 2015 setting out a road map to a political solution. It lays out a process; six months to establish a transitional government, with elections in the 18 months after that. On February 27 a new ceasefire took effect, but it specifically excludes extremist jihadi groups like ISIL or the al-Nusra Front. However repeated ceasefire violations on all sides sees the truce shatter. In April talks resumed in Geneva under De Mistura’s mediation. But after only five days the opposition walked out on the 27th, furiously accusing the regime of ceaselessly bombing civilians. Until now failure has been the sum total of talks on ending the Syrian war.